I absolutely love the summer. Festivals, beer, picnics, barbecues, big shades, not having to wear a coat, going to the beach, ice cream and flip flops. 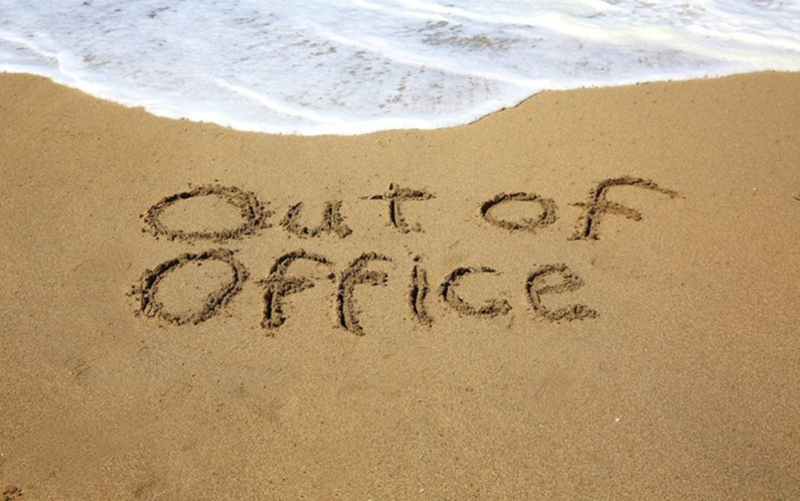 Most of you will no doubt have planned some precious time off work soon, whether its spending time with your family or taking a trip away with friends, but taking holiday as an EA can be stressful. Being an EA or PA often means you’re the go-to person for all sorts of queries from your team, not to mention people wanting to get time in with the Executive you support. What happens when you are away? In my experience, no-one can wait a couple of weeks until you return! Then there’s that frantic week leading up to the holiday: ensuring everything on your t’do list is t’done, while worrying there’s always something you’ve forgotten. A holiday can feel more hassle than it’s worth. Do you take holiday at the same time as your Exec? I have known many EAs who time their holiday around their boss, instead of when they would choose to take it. In some cases, they explicitly cannot take time off at the same time, in others, it’s implied that they must be on hand when their boss is away, so they can pick up any issues on their behalf. Some EAs don’t even ask for fear of disrupting their boss’s routine. All too often, EAs book time off to fit in with someone else’s schedule. Do you check emails on holiday? Most EAs I know would keep an eye on their inbox while away, either because they are so worried that something will go wrong in their absence, or that they just can’t face coming back to the inbox from hell when they return. Not many of us have the luxury of an assistant that can look after anything that pops up, while we sun ourselves and drink a margarita (or five). But what if we could?! Imagine knowing you had holiday cover that had your back, so you could really switch off and have a few wonderful days where you don’t think about reports, diaries, clients, colleagues, bosses, or why the receptionist has had that weird haircut? Imagine having someone that you trusted to manage all your tasks as professionally as you would. Someone to look after everything with as much care as you put in yourself. At FYXER, you choose when to book your holiday - no matter what your clients are doing. There is a dedicated cover Fyxer who will cover your client while you’re away, dealing with anything that arises on your behalf, updating you on your return, and ensuring you don’t come back to a thousand emails! What’s more, as they’re already in tune with all the FYXER processes, you won’t need to spend a frantic week training them up before you go. When you go on holiday as a FYXER, you can switch off all your apps with confidence, so your time off work is as relaxing as it should be.